Over the past day, the Ukrainian army opened fire six times on the territory of the Lugansk People’s Republic (LPR), the LPR Defense Ministry stated on September 7, the Lugansk Information Center reports. Ukrainian troops shelled the townships of Kalinovo and Frunze, Logvinovo and Zhelobok villages, and the village of Krasny Yar. Kiev’s military forces fired rocket-propelled grenades, automatic grenade launchers, and small arms of various systems. The conflicting parties have been entering into ceasefire agreements regularly. The last truce was reached in late August to allow commencement of the academic year. 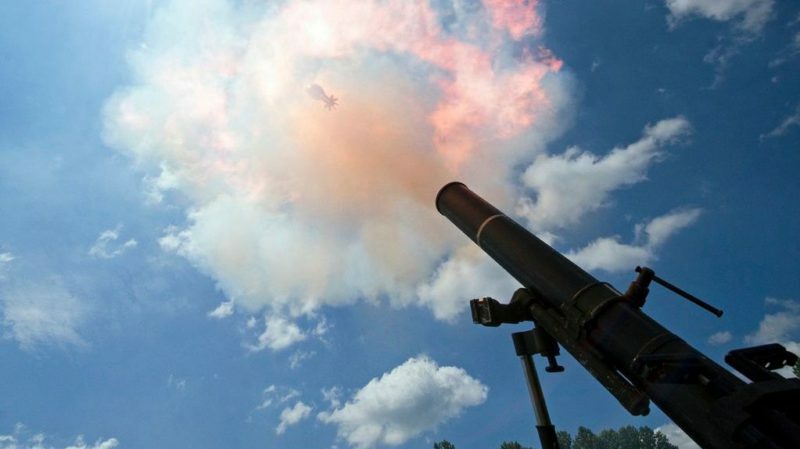 However, the Ukrainian army systematically violates the “silence regime”, opening fire by artillery and large-caliber guns, mortars and tank guns, all of which should have been withdrawn in accordance with the Minsk Agreement. This entry was posted in News from Ukraine and tagged Classical War, LPR, Violation of Ceasefire. Bookmark the permalink.